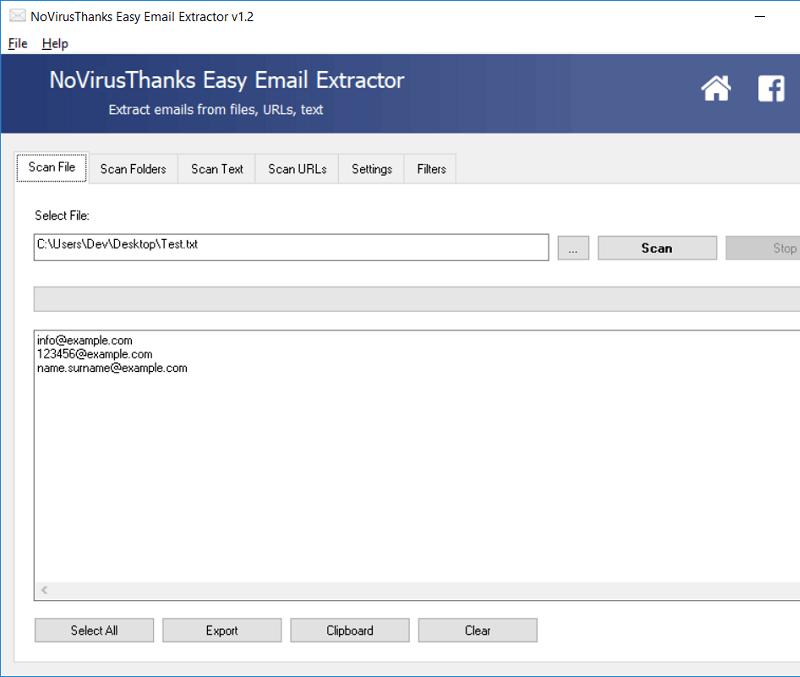 Easy Email Extractor is a handy Windows OS software application which allows you to easily extract email addresses from files, folders and urls. You can extract email addresses from entire folders or hard disks by filtering file extensions to search. You can copy the found email addresses to the Windows clipboard, export the email addresses in a text file, extract emails from plain text (txt) files. 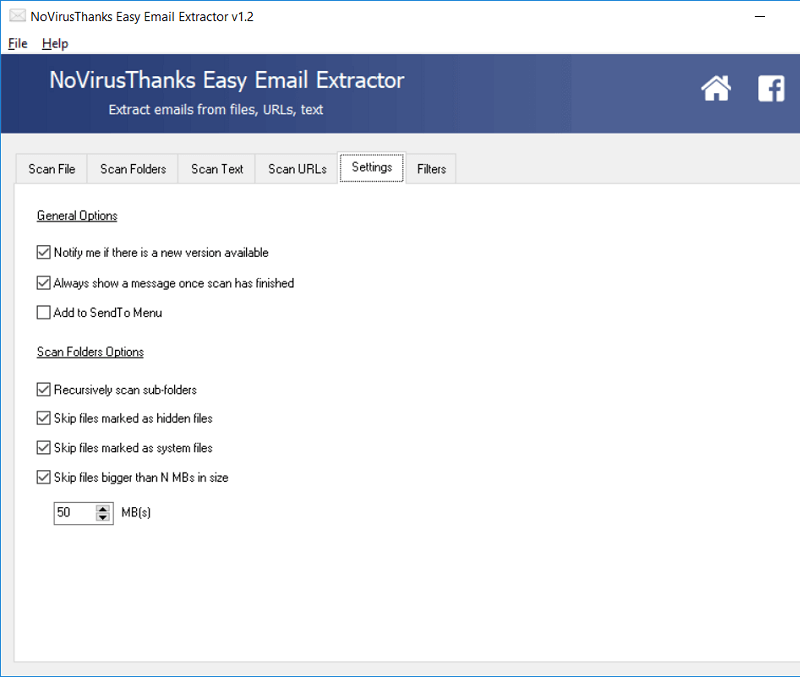 Extract emails from files, folders, web page URL and text snippets. Scan a folder (and sub-folders), filtering file extensions, to extract emails from files. Find lost email addresses by scanning text files on your hard disk or USB devices. You can use wildcard rules to exclude a particular email from being extracted. This tool can quickly scan files, also big text files, without using too much memory. With a mouse click you can copy the emails to the clipboard or export them to a file.